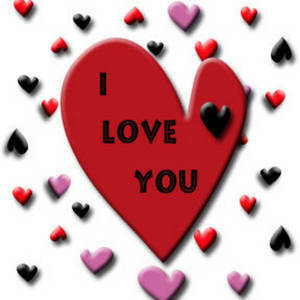 Description: This is a free Valentine clipart picture of 3D hearts in red and black. The hearts in this image are dimensional with a drop shadow. I love you is written on the largest red heart.